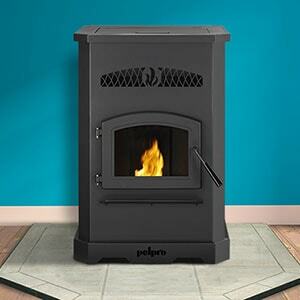 The PelPro cast iron pellet stove provides heating convenience in a beautiful design. Set the digital thermostat control to your desired comfort level and stay warm. A large ash collection area and 90-pound fuel capacity deliver extended performance.